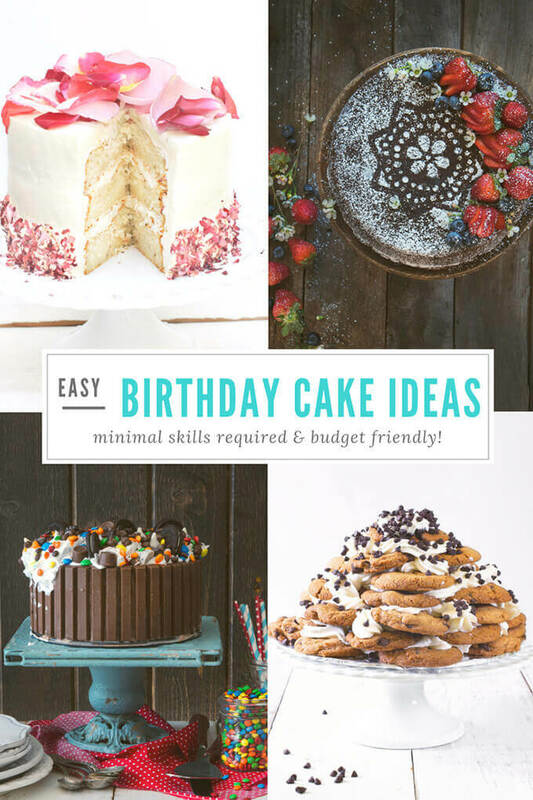 Here are some budget friendly easy birthday cakes for everyone, even if those of you who aren’t very skilled in the kitchen or with a piping bag. I love throwing birthday parties. Specifically, I love throwing my kids’ birthday parties, especially the preteen years. 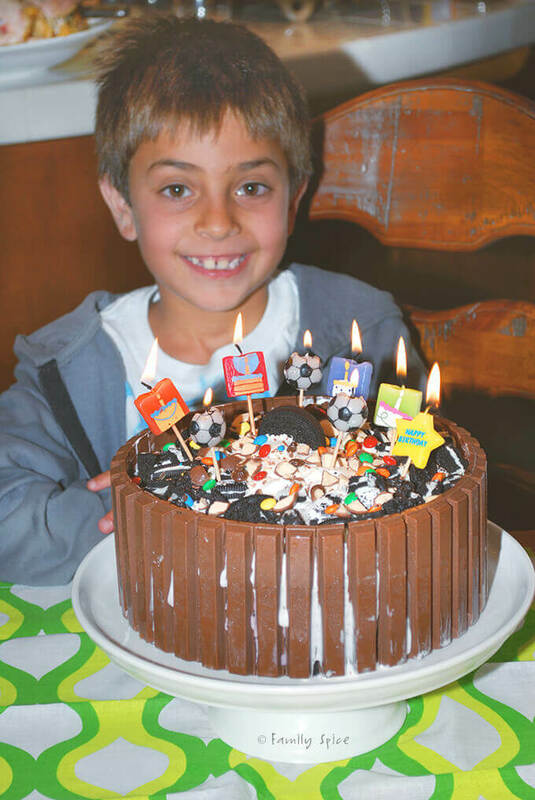 For each my kids, I always bake them a birthday cake. When they were old enough to voice an opinion, they would tell me what type of cake they wanted, theme and flavor, and I would gladly create what they requested. I hate store bought cakes. Specifically, I hate those bland, sugar flavored cakes you get at the grocery store with that horrible sugar blah frosting they put on top of it. Yes, I’m a cake snob. I don’t bake tasty, amazing cakes for the little kids. Their young taste buds really can’t tell the difference between good cake and bad. I bake for the parents who schlepped their kids to my party. And, I bake for me. I love a delicious cake. If I’m going to eat the carbs, then I’m going to make sure that those are some great-tasting carbs. It is also much cheaper to bake your own cake than it is to buy one from the store. A simple boxed cake mix that’s around 99¢ each tastes so better than the pre-made junk most stores sell as cakes. With coupons, you can get cake pans for cheap at Michael’s or even better, you can borrow cake pans from friends. Not talented with the piping bag? Join the club! I’m not either. This isn’t a dessert blog, despite my love for desserts, because I can’t decorate a cake. I have zero patience for for this task. So I am sharing with you some of my favorite very low skills easy birthday cakes that you can make even on a tight budget. This latest cake trend is one of my favorites. You spread on the frosting, and scrape it off to show the edges of the cake. 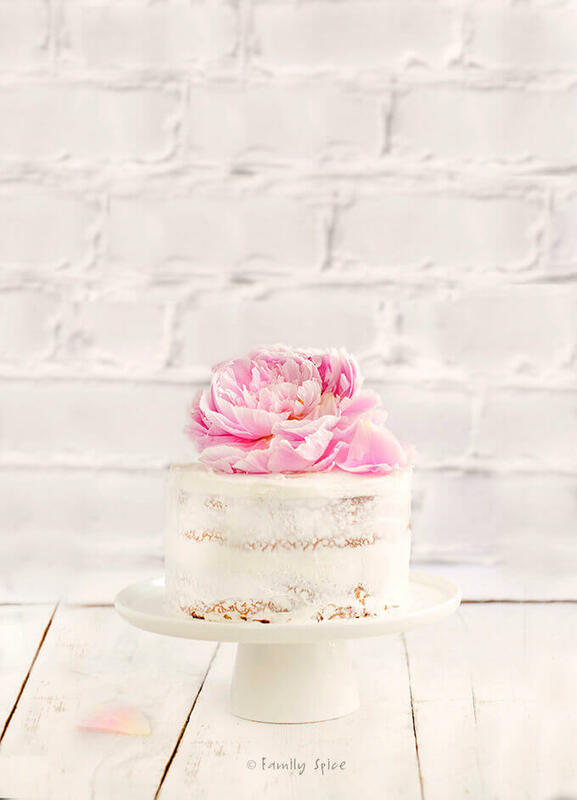 What used to be considered a badly frosted cake is now a naked cake and very stylish. Go figure?! A cheap dollar store paper doily is a great stencil for a simple cake embellishment. Just lay it on top of your cake and use a small sifter to spread powdered sugar evenly over the doily covered cake. 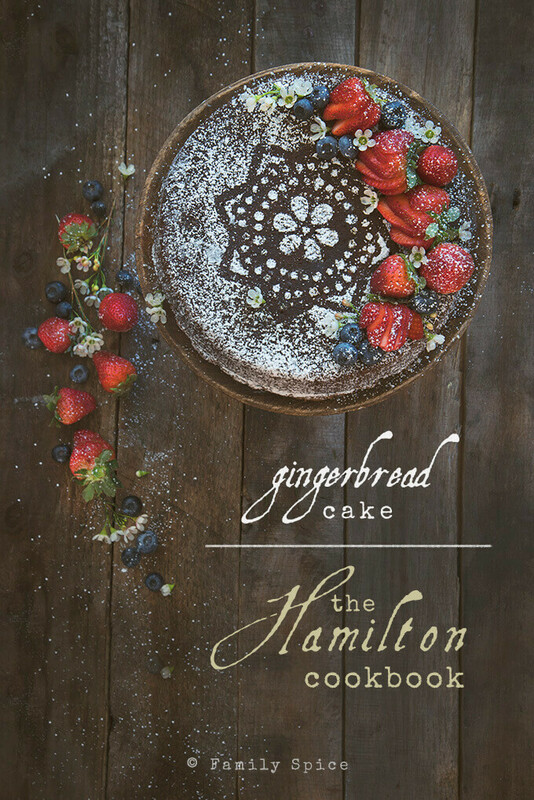 Once the cake is covered with powdered sugar, remove the doily and your design is revealed. An easy way to glam up a cake is with edible flowers. 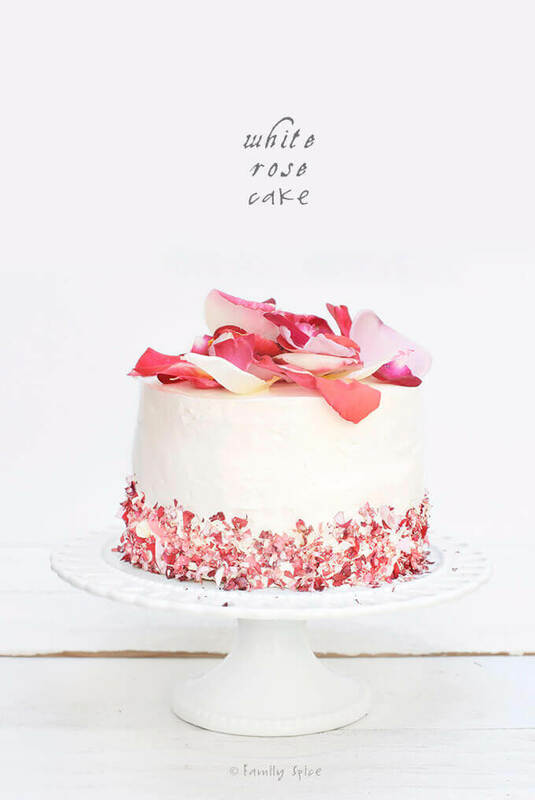 Such a simple and beautiful way to naturally decorate a cake. The key here is to find organic edible flowers (you don’t want to get your guests sick). If you grow the organic flowers yourself, even better! I have been slowly adding edible flowers to my garden so I always have these beauties on hand, but I have occasionally found them in the produce section of the grocery store and at the farmer’s market. You can find more edible flowers listed here. A simple and beautiful arrangement of an assortment of flowers on top of a cake is all you need, but you can also mix flower petals in the frosting and in the cake mix for extra flower power. Fruit is beautiful, so why not decorate your cake with some gorgeous berries? They offer bright colors naturally and with minimal effort. You can pile on a large messy pile of strawberries on top of the cake, or make a design using an assortment of colorful fruits. 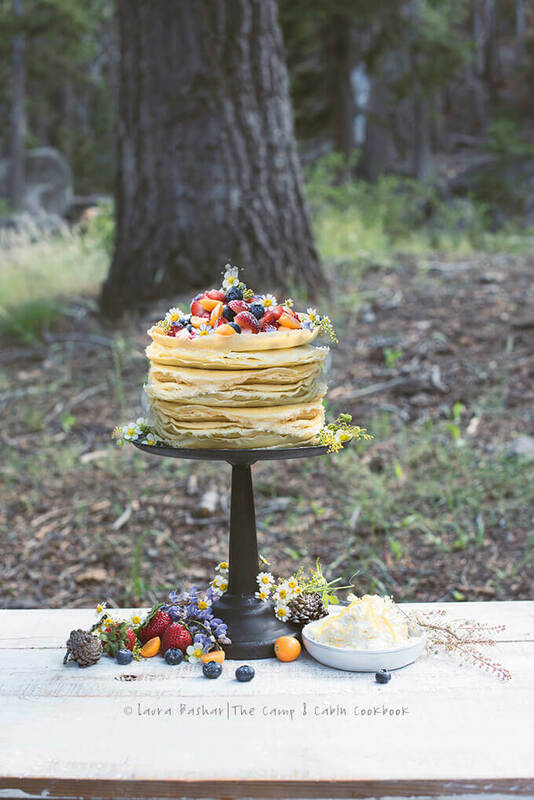 Forgo the cake and use, crepes, like this one pictured. Just slather each crepe with a thin layer of jam, Nutella or whipped cream to make a crepe cake. 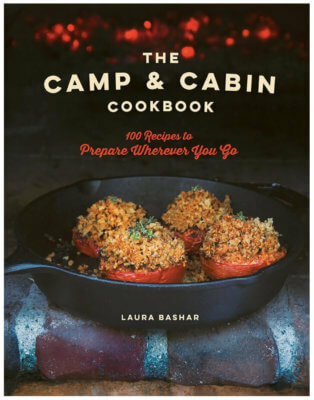 Sorry, but for this crepe recipe, you’ll have to get my cookbook, The Camp & Cabin Cookbook. 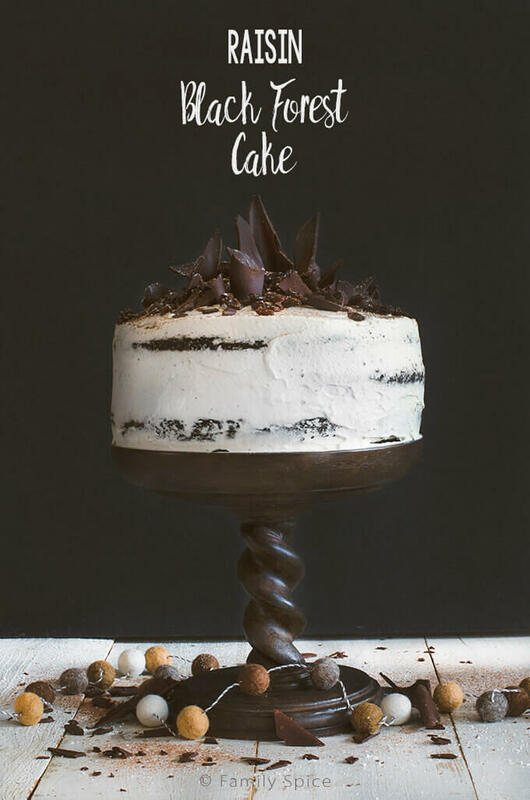 This next cake uses two very simple cake decorating techniques, naked frosting and chocolate shards, giving it a very dramatic look. Chocolate shards are super easy to make. Simply melt chocolate in a double boiler or microwave, spread it on a baking pan lined with parchment paper, roll up the chocolate covered parchment paper and freeze it. In about 10 minutes the chocolate will harden. Then you simply unroll the parchment paper and break off the chocolate pieces. Easy Peasy! Click here for the video and directions for this chocolate raisin cake. Don’t feel like baking? Need a birthday cake during those hot summer months? 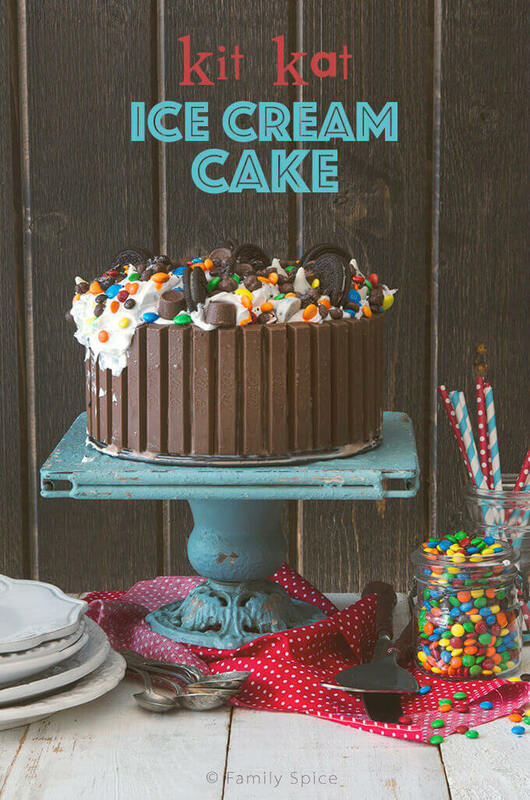 An ice cream cake is such an easy birthday cake to wow your VIP. The crust is typically crushed cookies and milk pressed into the bottom of a springform pan (no baking required). Got a Cookie Monster with a birthday? Ditch the cake and make a super easy cookie cake. You can bake your own cookies or buy them. This cake is ridiculously easy to assemble. You start by alternating layers of your favorite cookie with frosting or icing until you have a nice mountain of cookies, then refrigerate. 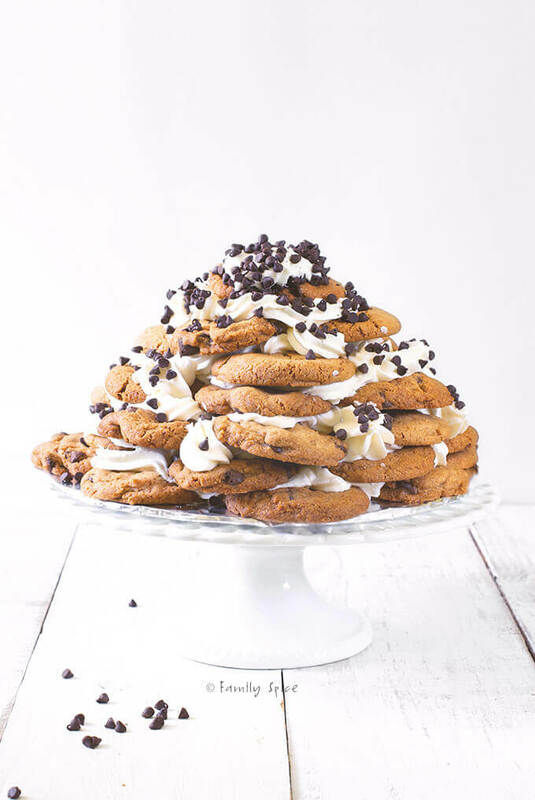 Your guests can either pull off one cookie serving at a time, or if you are using thinner, softer cookies, just slice into it as you would a normal cake. I got the idea for this gem from my friend Diane. You can bake a simple sheet cake in a 9×13 pyrex dish or an even larger baking pan (thank you, Michael’s and the 40% off coupon!). I like using a rectangular cake when I have a massive crowd to feed. Sheet cakes can be boring, especially if you aren’t patient enough to decorate it with a piping bag. So use props. You can place their favorite small toys on top, make a football field, or in the above pictured cake, create a mad scientist cake. We adorned the laboratory table cake with test tubes filled with candies and small glass beakers filled with dyed water and some dry ice cubes. You could also fill them up with jello or juice. 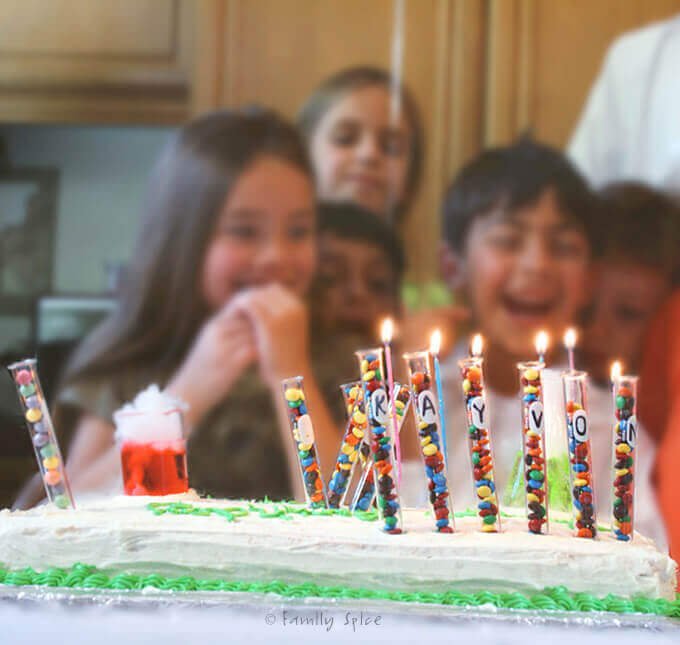 Sparkling candles created more special effects that the kids loved. I made the above woodland themed cake for my niece’s baby boy’s first birthday. 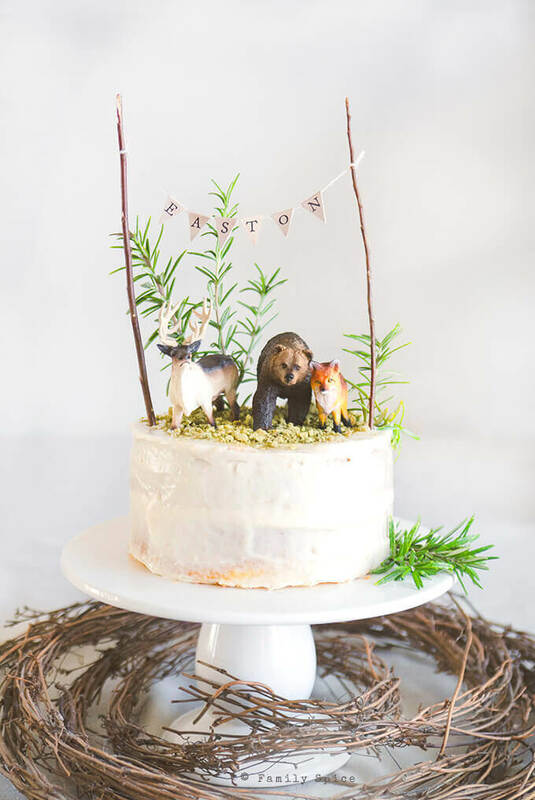 Cute plastic toy animals, a homemade bunting cake topper and some rosemary and this cake was super to recreate. Click here for the directions and free printable for this woodland themed cake pictured above. Ok, this one is definitely not what I call an easy birthday cake, but it certainly was fun to make. You’ve probably seen unicorn cakes all over social media and blogs everywhere. They are a little labor intensive to make, but I break down how to make a unicorn cake into bite sized steps. I used boxed cake mix and dyed it rainbow colors, and went to town with the unicorn decorating. I enlisted my 13-year old daughter to help, and since this cake was for her birthday, she was happy to assist. I hope these ideas inspire you to make your special someone’s birthday cake this year. Like I always tell my family, it is not the gift that matters but the thought and effort behind it. The same goes with baking for your loved ones. They don’t care if they get a fancy schmancy cake from an overpriced bakery. The love you pour into the homemade delicious cake shines through, even if it’s a pinterest-failed cake. What matters most is celebrating the small moments with the people you love. Got any more ideas that I missed? Leave a comment and let me know! I am all thumbs when it comes to decorating cookies and cake. So I am always looking for hacks that give big impact with minimal effort. I would eat that whole cookie cake without no doubt. Ha ha ha! Me, too!